Please join us on Sunday 31 March as we celebrate Mother’s Day with a special afternoon tea. Please arrive any time from 4pm and tea will be served at 5pm. 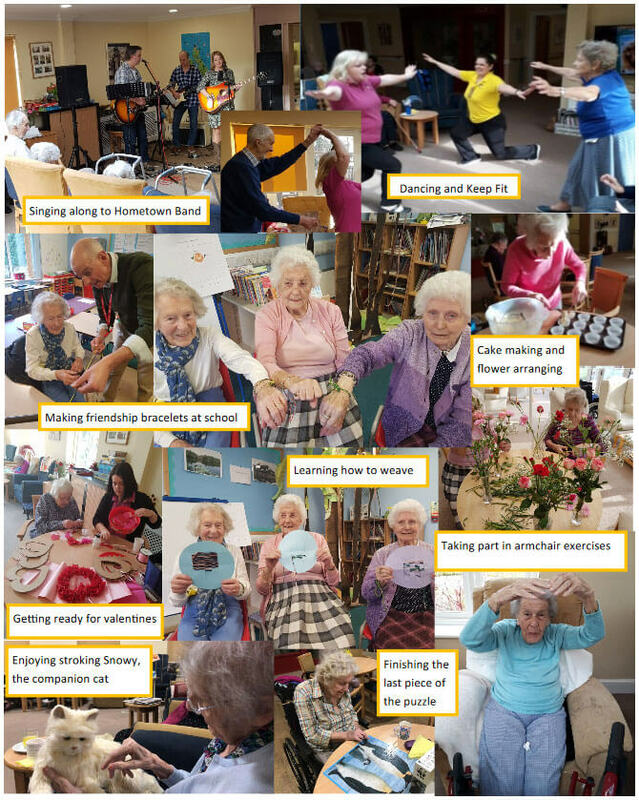 Following on from the success of the TV programme ‘Care Home for 4 year olds’, we are pleased to announce that we have formed a partnership with Barley and Barkway school which will see the children and residents being involved together in a variety of ways. 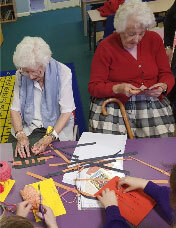 The first thing we have done is join their after school art club, with residents going to the school to work with children on projects. This week was the first session of the children coming to us with their reading books and stories and they practice their reading and storytelling skills with residents. 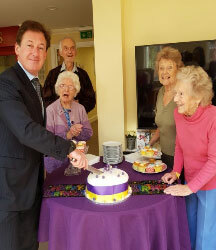 It is hard to believe it has been 3 years since we opened our ‘new’ wing, so much has happened in that time, including being voted a Top 20 care home twice and best large business twice. We celebrated the occasion with a special cake glass of fizz. A trip to the Ruby Rooms in Royston made for a very special birthday outing for one of our residents.